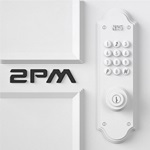 2PM 닉쿤, 데뷔 11년 만에 첫 솔로 앨범 'ME' 발매! - 팬송 'Umbrella', 한국어-영어-중국어-태국어 4개국어로 완성! 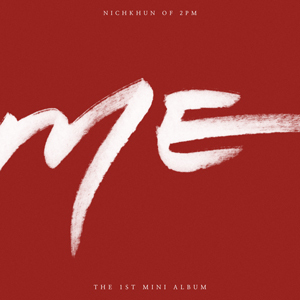 2PM 닉쿤이 데뷔 11년 만에 첫 솔로 앨범 'ME'를 발매한다. 닉쿤은 2019년 2월 18일 전곡을 영어곡으로 작사, 작곡해 채운 앨범 'ME'를 선보이고 오랫동안 자신을 응원해준 팬들에게 특별한 음악 선물을 안긴다. 앨범 'ME'는 닉쿤 특유의 스윗한 매력과 세련되면서도 섬세한 감정선을 지닌 곡들로 구성됐다. ‘싱어송라이터’ 닉쿤은 여유를 즐기는 카페, 해방감을 느끼는 드라이브 등 리스너들의 일상에서 편안하게 함께 할 수 있는 사운드를 자작곡으로 표현함과 동시에 유창한 영어 가사 전개와 달달한 보이스로 노래를 완성했다. '아시아 프린스'라는 수식어를 얻으며 꾸준한 사랑을 받고 있는 닉쿤은 팬송인 'Umbrella'를 한국어, 영어, 중국어, 태국어 총 4개국어로 제작해 팬들을 향한 진심 어린 마음을 표현했다. 또 이번 앨범 'ME'는 중국과 태국에서 동시 발매를 확정해 현지 팬들을 더욱 기쁘게 했다. 첫 솔로 앨범 'ME'의 2번 트랙이자 타이틀곡 'Lucky Charm'은 닉쿤의 달콤한 목소리와 감성적이고 따스한 멜로디가 조화를 이룬 곡. 가사는 환상과 현실에 대한 이야기를 담았다. 'Lucky Charm' 뮤직비디오는 포근한 구름 속에서 기타를 연주하며 노래를 부르는 닉쿤의 모습을 한 편의 꿈처럼 담아내 보는 이들을 설레게 한다. 1번 트랙 'HOME'은 이번 앨범 'ME'의 세계로 안내하는 인트로 트랙. 다양한 수록곡들을 만나기 전 긴장을 풀고 편안한 마인드를 가질 수 있도록 무드를 자아낸다. 3번 트랙 'Bridge'는 비트가 가미된 리드미컬한 트랙으로 'Bridge(다리)'를 건너 내게로 와준다면 네가 원하는 모든 것을 주겠다는 매력적인 가사가 특징이다. 4번 트랙 'Jealous'는 자신의 연인에게 시선을 보내는 다른 남자들을 질투하는 귀여운 내용을 담았다. 닉쿤은 잔잔한 멜로디 속에서 유려한 보컬을 뽐냈다. 5번 트랙 'Mars'는 이번 앨범의 유일한 발라드 곡. 이 곡은 닉쿤이 tvN 예능 프로그램 '갈릴레오 : 깨어난 우주' 출연 당시 MDRS(화성 탐사 연구 기지)를 경험한 것에 영감을 얻어 탄생했다. 피아노를 연주하면서 가창하는 곡을 만들고 싶었던 닉쿤은 'Mars'에 이루어질 수 없는, 몽환적이고 환상적인 사랑을 담아냈다. 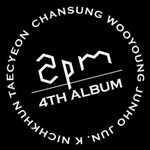 6번 트랙 'Umbrella'는 10년이 넘는 시간 동안 닉쿤을 사랑해준 HOTTEST(2PM 팬덤명)에게 보답하고자 만든 팬송. 가사는 '이제부터는 내가 팬들의 우산이 되어 감싸주겠다'는 솔직한 마음을 표현했다. 7번 트랙 'Colorful X’mas'는 닉쿤이 1년 중 가장 좋아하는 휴일인 크리스마스를 특별하고 로맨틱하게 노래한 곡. 8번 트랙 'Endearing'은 사랑하는 이를 묘사하는 단 하나의 단어를 찾으려고 하지만 쉽게 찾을 수 없을 때의 마음을 표현한 곡. 닉쿤은 부드러우면서도 호소력 있는 목소리를 더해 사운드를 완성했다. 9번 트랙은 'Umbrella'의 한국어 버전으로 "너는 나 나는 네가 될게 언제나처럼"이라는 가사처럼 닉쿤과 팬들의 변하지 않을 믿음을 이야기한다. 닉쿤은 첫 솔로 앨범 'ME'에 팬들에게 받은 특별하고도 소중한 사랑을 자신만의 음악 색깔로 그려내 듣는 이들에게 힐링을 선사한다. : This is an intro track made to guide you into my safe zone. To relax your mind before you begin your journey into this album, but there is a hint of rhythm and excitement. : A morning tune. A song made to be listened to first this when you wake up and actually right before you close your eyes and fall asleep at night. There is a sense of fantasy vs. reality. Which is up to you to choose, but wouldn’t you want some breakfast in bed? : This is a beaty one. I wanted to add a rhythmic track to this album. “Bridge”, why don’t you cross it and come to me. What are you waiting for? I can give you everything you need. Have you ever felt like that? : I think this a cute song. Can you picture an innocent and nerdy young mad being jealous of his girlfriend being looked at by other guys? Yeah it’s childish but every guy does that. : his song was inspired by my experience at MDRS. It’s the only ballad song in this album. I wanted to make a song where I can play the piano and sing at the same time. This song too has two different interpretations. An unattainable love or a dreamy, fantasy love. : For the past 10 years my HOTTEST’s have always been there for me to protect me from the rain. Now I want to return the favor in full. It’s a very straightforward song made for my fans to tell them from now on I will be their umbrella. : My favorite holiday of the year is Christmas. Spending it alone is dull and grey, but with you, this already beautiful holiday, just got much more colorful. : When you try to fit the one word to describe the one you love so dearly but you can’t seem to find the one. You just need the courage to step forward and tell them how you really feel.